holiday recipes...with 3 or less ingredients! this past weekend, a few of us teachers got together and baked christmas-y things while being serenaded by some sufjan stevens type christmas music (so. good.). 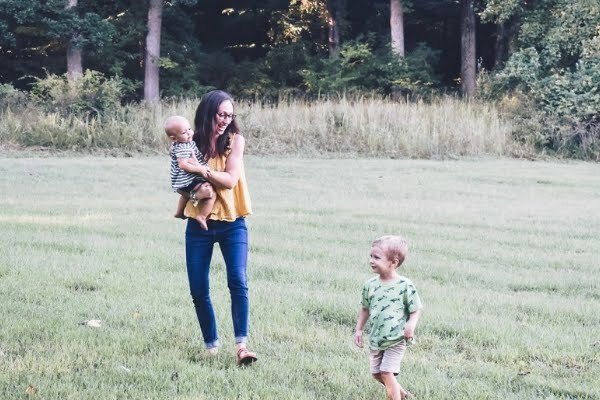 on our list were popcorn balls, chocolate-covered peanuts, fudge, peppermint bark, and chocolate-covered pretzels. i'm a terrible cook and uncreative baker (brownies with m&m's are as wild as i get), so this was especially exciting! 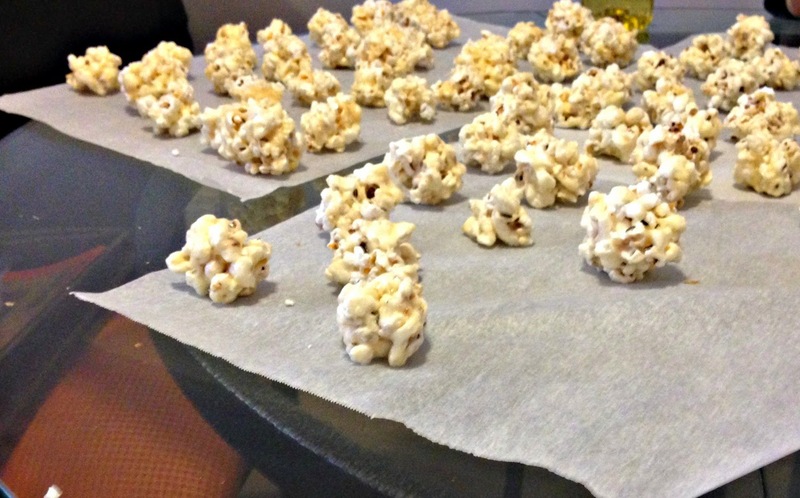 i'm including 2 of the recipes we used--popcorn balls and peppermint bark. ---melt chocolate chips, according to their packaging. we used white chocolate (pictured) and dark chocolate. 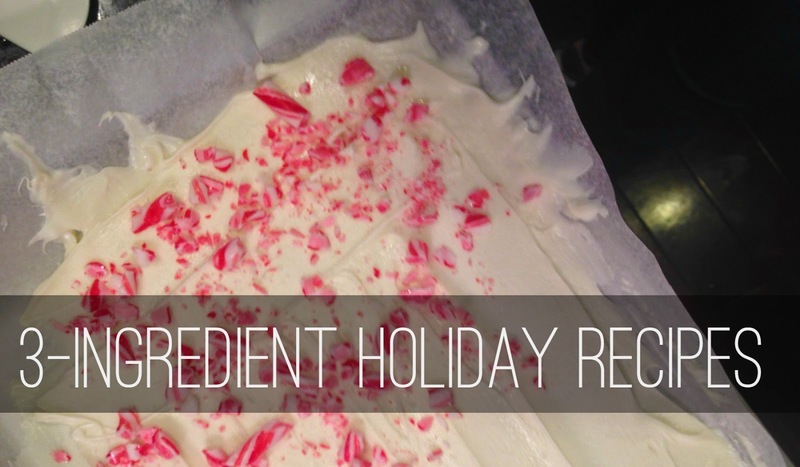 ---add a few drops of peppermint flavoring to the chocolate. ---spread the melted chocolate on wax paper on a cookie sheet with a spatula, so that it's thick enough where you can't see the wax paper beneath it. ---sprinkle the crushed candy canes onto the chocolate, and press the bigger pieces into the chocolate. ---put the cookie sheet in freezer (...or outside?) for a while. until the chocolate is hardened. it's an exact science, obviously. ---when the chocolate is hardened, go wild. crumble the chocolate. fold the wax paper onto itself. whack it with the closest kitchen utensil. 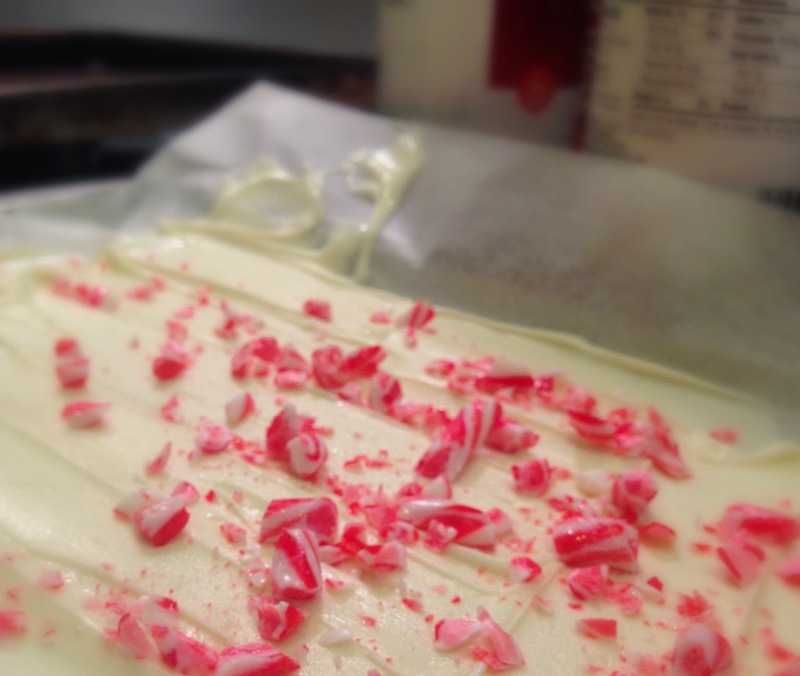 peppermint bark is just that easy. --pop whatever kind of popcorn you like. ---melt a stick of butter on the stove, and once the butter is melted, add the bag of marshmallows. ---stir constantly, so that nothing burns. ---once the mixture is creamy, slowly add popcorn. keep stirring, until all the popcorn has been added and it's all thoroughly coated in the butter-marshmallow mix. 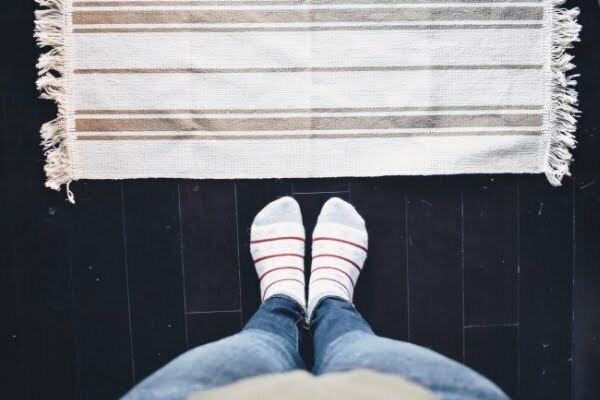 ---remove the sticky mess from the heat, and put some vegetable oil on your hands before you start pulling chunks off of the main gooey mess. 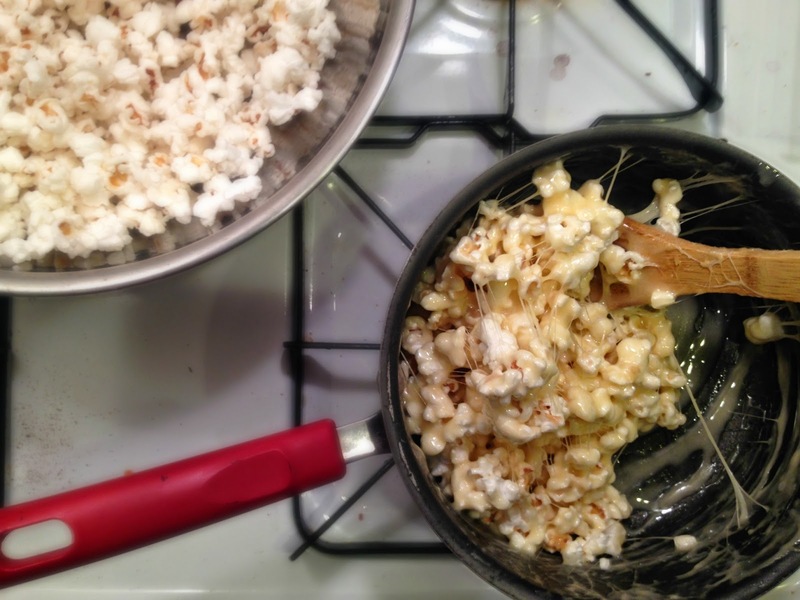 ---grab some sticky popcorn, shape it into a ball, and set it on wax paper to cool. 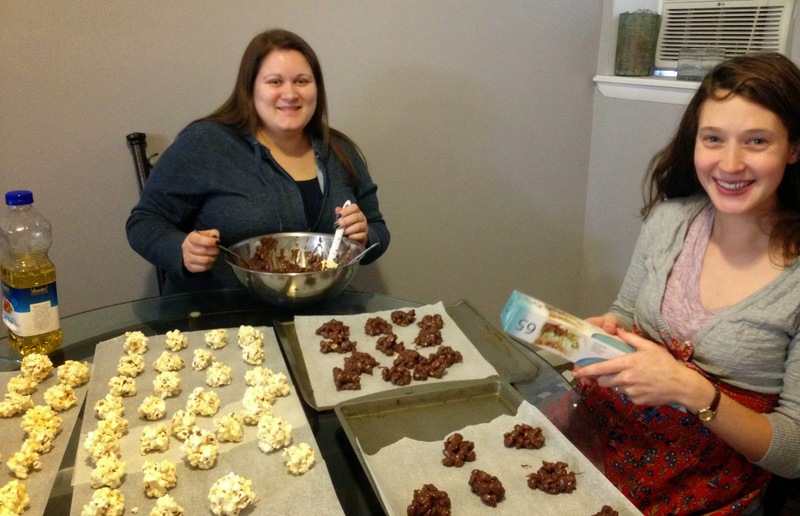 becca and jess roll out the chocolate-covered peanuts, next to the cooling popcorn balls. what are your favorite christmas recipes? Thanks! 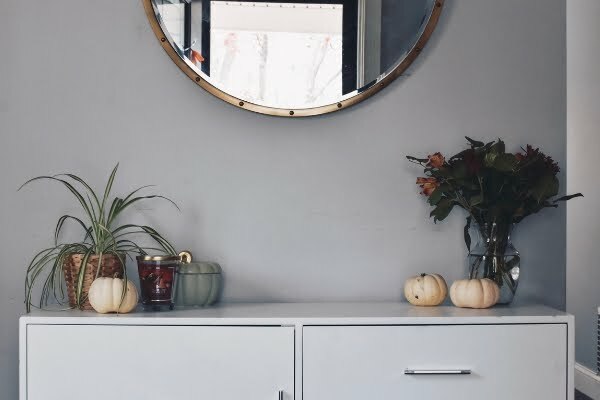 I'm all about easy recipes!